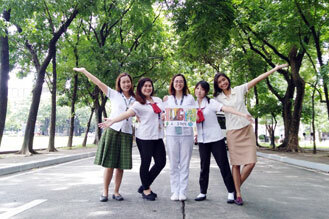 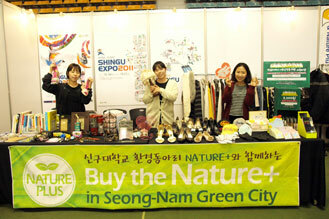 A good festival of Shin-gu University!Let's look into the festival booths of Nature!hustle-bustle!Wow! 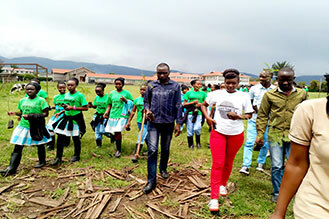 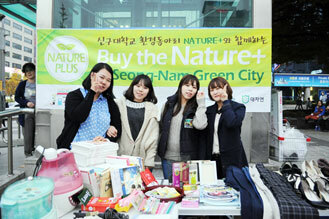 Students were making 'my own eco-bag' with natural p..
Let's help the climate refugees by donating unused products!Nature+ is the only one environmental club of Shin-gu University.At the beginning of the 2nd semeste.. 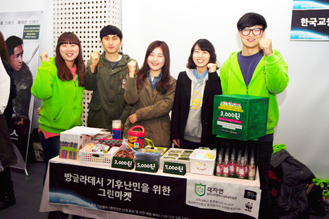 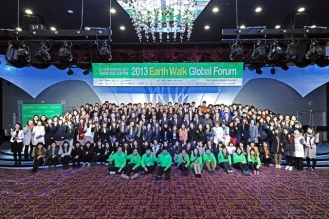 Here is Nature+,environmental club of Shin-gu University,who leads 3R(Reduce, Reuse, Recycle) wavesand donates the profit to climate refugees!Today, we ope..
Earth Walk finally opened their first long-awaited forum—the global walking campaign that deals with environmental problems from all around the world.“2013 Eart..
2013 Green Shop at the Ya..
Green Shop is opened once a week and it is also opened for citizens.We had Green Shop at the Yatap Station.Many people joined.We showed environmental refugees o..
Shin-gu Expo Open Marketwith Shin-gu Environmental Club Nature+! 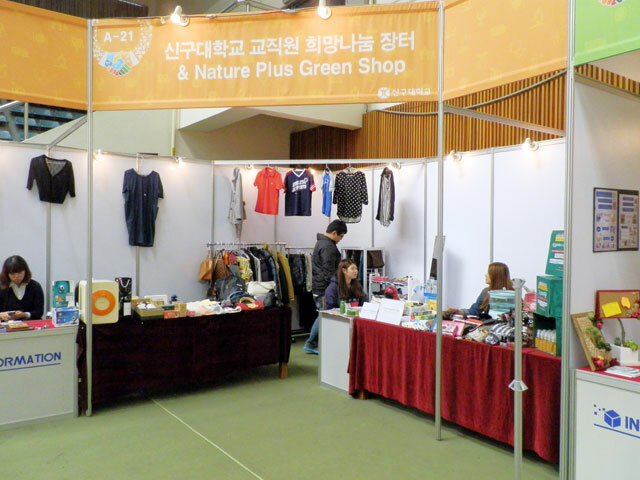 !Nature+ is a kindhearted clubwho protects the environment and helps climate refugeesby don..
2013 Green Shop at the Fe.. 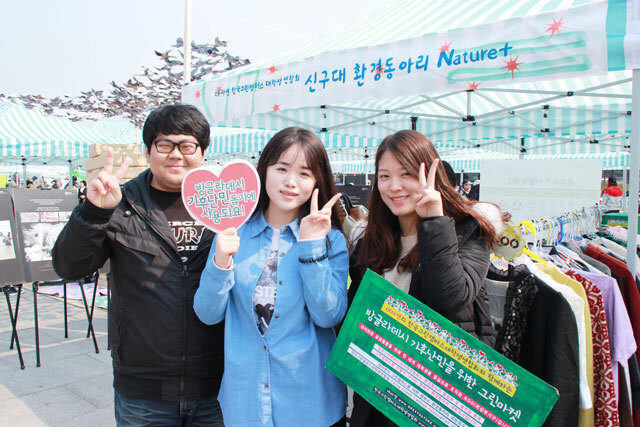 The Festival of Shingu College was held!At the festival, Shingu College held an exposition as well.Students could find the information on getting jobs.Among boo.. 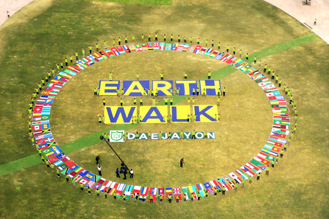 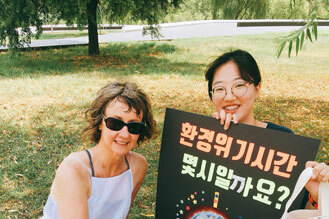 Here is the Seoul City Hall Square.The square is full of green.They are more than 200 Daejayon members!Let me invite you to the Earth Walk performance to help..
“Green Market for the Cli..
On March 23rd, Saturday, at the Citizens Hall, Seoul City Hall, Seoul Plaza, Cheonggye Plaza and GwangHwamun Area, Earth Hour 2013 was held by the host of Earth..
2013 Green Shop was open by Nature+, environmental club of Shingu College.We can share things unused and buy with reasonable price through Green Shop and help c..
“Green Shop” at Shingu Co..
﻿October is a campus festival season and Shingu college also held a festival.Surprisingly, a college official requested for opening Green Shop at the Shingu Col..
“Green Shop” at Moran Sta..
﻿Nature+ which is supported by Daejayon and GyeongGi-do Association for Green Campus Initiative ran Green Shop at Moran Station. 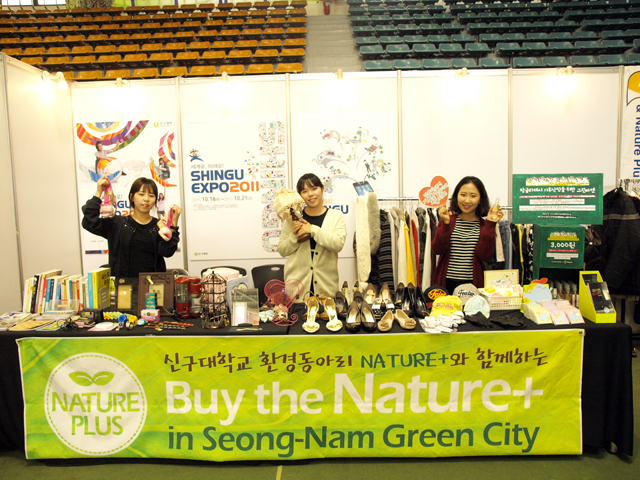 Nature+ coul..